In an era where specialization is the quickest key to success, are you still stuck amidst the doubts of handling all the core and non-core activities of your business single handedly? It is baseless to spend much of your time, cost and resources for the purpose of new hiring when you can simply choose RPO as a practice. The in-house recruitment processes in which most of the organizations rely are less handy and up-to-date in the terms of technology. The turnover rates are also high. In comparison to this, RPO can effectively streamline the hiring process at an affordable cost, least amount of time and through quality hiring. So whether you are looking for a long-time or part-time employee, RPO can help you in the most abstract manner. RPO assist the 360 degree needs of hiring- from fulltime workers to seasonal employees, strictly on the basis of a company’s diverse hiring requirements. 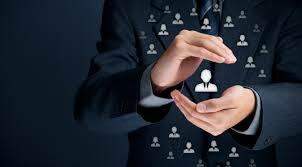 The recruitment capabilities of RPO are scalable and multidimensional. It is all about the merits of specialization! Same as a Goldsmith, who inherits the talent of churning gold into beautiful Jewellery, professional hiring firms qualifies the test of evaluating a candidate on the basis of several quality standards. It is the experience that they hold in hiring that matters the most. They have that ‘eye’ to observe a candidate beyond certain pre-defined standards. The process of hiring an employee is not a one-dimensional procedure. Scrutinizing candidates, scheduling writing test, conducting one-on-one rounds, following up with the candidates, and so on- the process has multiple entities. RPO serves as a one-stop solution center for diverse hiring needs. When a company outsources the entire recruitment process, it invites transparency and competency in hiring policies. It lowers the much-speculated burden of hiring from the in-house hiring manager and ensures the fine merits of employee satisfaction. No favoritism, no assumptions and absolute clarity- RPO is everything that the company’s constructive ambiance demands. What is better than sharing the load of hiring with a credible brand and investing the much-valued time in some core business activities? Think about it!